This 93 page packet is filled with Subtraction Timed Test pages. 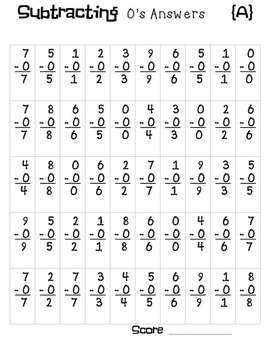 There are 4 different tests for each set of facts from 0-9. Each test has 50 problems. 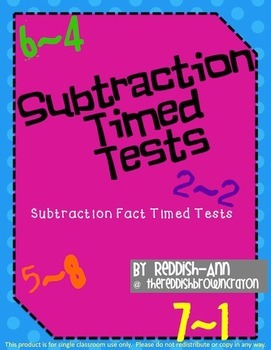 The last set of tests is a Mixed Subtraction set of tests. 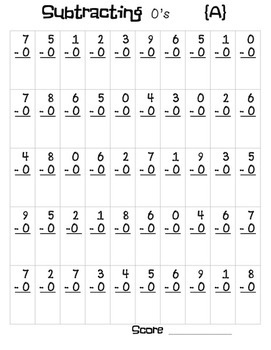 You can use these sheets to help students practice each set of facts. Set the timer for the desired amount of time. Please visit my store for various other products that support this concepts. I have flash cards, addition and a year long Fear Factor challenge to encourage mastery.